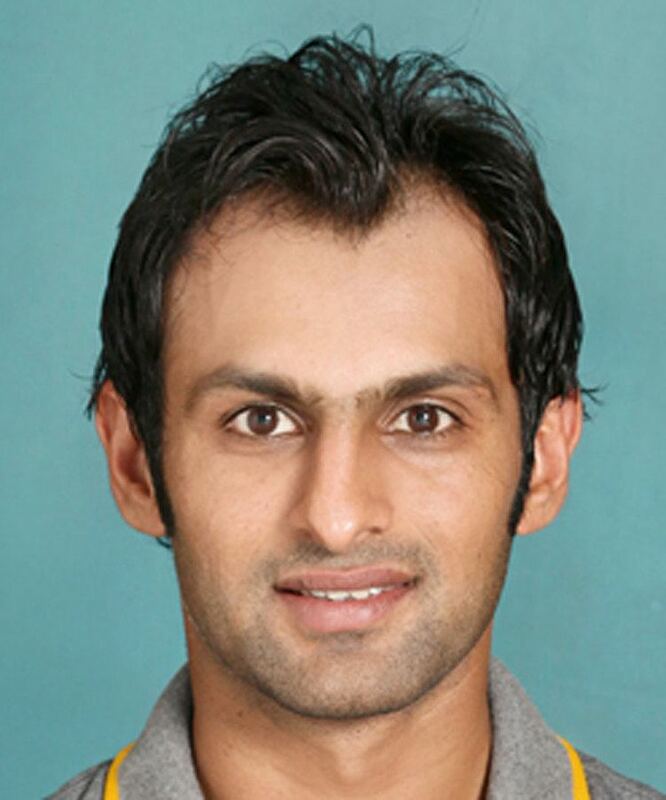 Shoaib Malik (Punjabi, Urdu: شعیب ملک‎; born 1 February 1982) is a Pakistani cricketer and former captain of the Pakistani side. He made his One-Day International debut in 1999 against the West Indies and his Test debut in 2001 against Bangladesh. On 3 November 2015, he announced his retirement from Test cricket and says his focus is to play in the 2019 Cricket World Cup. Shoaib Malik has taken over 100 ODI wickets, and has a batting average in the mid 30s in both Test and ODI cricket. His bowling action has come under scrutiny (particularly his doosra) but he has had elbow surgery to correct this. 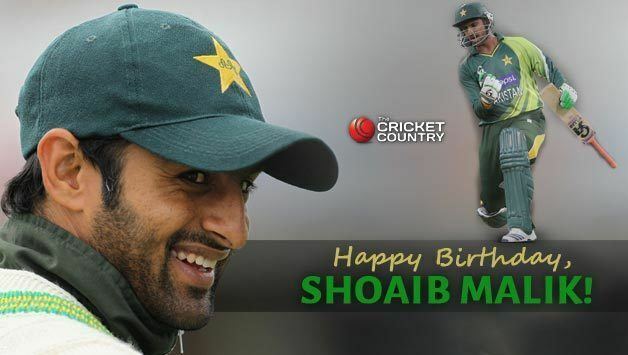 Malik was ranked second, behind teammate Shahid Afridi, in the ICC ODI all-rounder rankings in June 2008. In March 2010, Malik received a one-year ban from international cricket from the Pakistan Cricket Board (PCB); the ban was overturned two months later. On 12 April 2010, Malik married international Indian tennis player Sania Mirza in an Islamic wedding ceremony at the Taj Krishna Hotel in Hyderabad, India followed by Pakistani wedding customs for a mahr of ₹ 6.1 million (US$137,500). Their Walima ceremony was held in Lahore, Pakistan. Shoaib Malik first played tape-ball cricket in the streets as a child. He began playing cricket seriously in 1993/94 when he attended Imran Khan's coaching clinics in Sialkot. He began as a batsman, and developed his bowling later. He used to get in trouble with his family for playing cricket, as they wanted him to focus on his education. In 1996, Malik attended trials for the U-15 World Cup. He was selected in the squad for his bowling. In May 2001, Malik's bowling action was inspected. The PCB group of bowling advisers concluded that his stock off-spinner was legal, although his delivery going the other way was not. He was encouraged to concentrate on his off-spin and to practice bowling his other delivery without bending his arm. In an One Day International (ODI) match against England in June 2001, Malik suffered a fractured right shoulder after falling awkwardly while attempting to take a catch. Malik was approached by Gloucestershire County Cricket Club in July 2003 to act as a replacement for Ian Harvey, who was on international duty with Australia. John Bracewell, the club's director of cricket, commented that he was "excited by the prospect of signing an international spinning all-rounder to replace Ian during the Cheltenham Festival and the C&G semi-finals. He will add a new and refreshing dimension to the sq­uad ... which is in keeping with our playing philosophy to both win and entertain". He sufficiently impressed in two County Championship and three one-day matches that resulted in renewing of his contract for the 2004 season. Mark Alleyne, the club's head coach, remarked that "Shoaib did very well for us last year in the short time he was with us and fitted in very well. He is a gifted all-rounder who is worthy of a place in either discipline and as a 21-year-old, he can only get better and I am really pleased at having him in my squad­". Over the course of his two seasons at Gloucestershire, Malik played eight first-class matches, scoring 214 runs at an average of 17.83 with two fifties and taking 15 wickets at an average of 45.06, with best bowling figures of 3/76. He also played twelve one-day matches, scoring 345 runs at an average of 43.12 with three fifties and taking 10 wickets at an average of 47.60, with best bowling figures of 3/28. In October 2004, Malik was reported to the International Cricket Council (ICC) for having a "potentially flawed bowling action"; eight months later, his action was cleared. In the intervening period, Malik was used mainly as a batsman. He was also given a one-Test ban by the Pakistan Cricket Board after admitting to deliberately losing a Twenty20 match for the Sialkot Stallions against Karachi Zebras to knock Lahore Eagles out of the 2004–05 ABN-AMRO Twenty-20 Cup. The inquiry concluded that the incident "damaged Pakistan's cricketing image and had shown disrespect to the crowd", but that "his actions were not part of any match-fixing with no financial implications, but were an immature attempt to express his disappointment at earlier decisions in the competition that he felt went against his side". 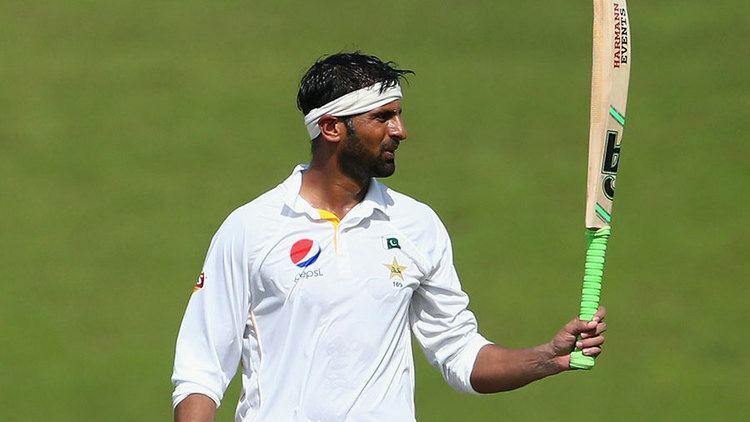 During his Test career, Malik has batted at 5 different positions and has the unusual record of batting at every position except 11th in ODIs. Pakistan's problems in finding a reliable opening pair have led to Malik being used as an opener in Test and ODI matches. In Test cricket, he made a big impression with his match-saving innings against Sri Lanka in 2006, during which he batted for the whole day and finished with 148 runs not out. His bowling has been effective at times, especially in one-day cricket where his best bowling figures are four wickets for 19 runs (4/19) in addition to many 3-wicket hauls. On the international stage Malik struggled in England. In 12 ODIs across four tours between 2001 and 2006 he scored 98 runs at an average of 8.16, with just two scores above 20, far below his career ODI average of 34.35. Of players who have played at least eight ODIs in England, Malik's is the furthest below his overall average. Following Inzamam-ul-Haq's resignation as Pakistan captain after the 2007 World Cup, Malik was put forward as one of the names for the captaincy along with Younis Khan and Mohammad Yousuf. After Younus Khan's rejection, Malik was the popular choice as a younger player and was seen to represent a fresh start after the Inzamam era. Pakistan's coach, Bob Woolmer, was a strong advocate of Malik's case to become captain; in Woolmer's opinion Malik was "the sharpest tactical tack among his group ... a real presence on the field". Former skipper Imran Khan also backed Malik for the role, stating "He appears to have a good cricket brain and could turn out to be a very good choice for Pakistan cricket". Malik was appointed captain on 19 April 2007 by the Pakistan Cricket Board (PCB), his experience considering his relatively young age and consistent performances were cited as other reasons for his appointment. At the age of just 25, he was Pakistan's fourth youngest captain. In Malik's first series as captain, Pakistan defeated Sri Lanka 2–1 in an ODI series in Abu Dhabi. His next assignments were home Test and ODI series against South Africa, which Pakistan lost 1–0 and 3–2 respectively. 3–2 was the score in favour of India when Pakistan subsequently played an ODI series against their arch-rivals. Malik hit 89 and took three wickets in the final match, which Pakistan won by 31 runs. Malik's captaincy lasted two years. A report by the coach and manager criticised his leadership, claiming that Malik was "a loner, aloof and involved in his own little world, which is OK but not when the team required a fully committed captain We do not see any meaningful communication between players and captain other than his five-minute talk during the team meeting". Younis Khan took over as captain on 27 January 2009 after a poor performance against Sri Lanka saw Malik step down. In his two-year tenure as captain, Malik led his country in three Tests, losing two and drawing one, and 36 ODIs, of which Pakistan won 24, and 17 T20Is, winning 12. 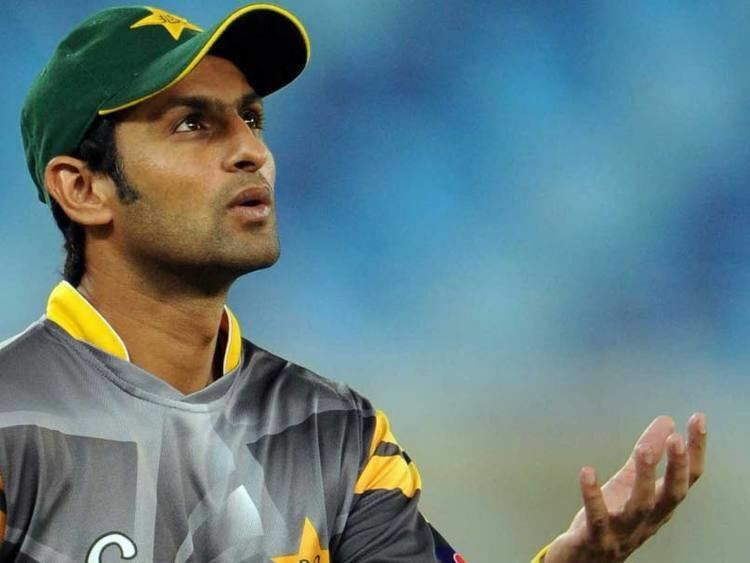 In March 2010, Shoaib Malik was given a one-year ban from the national team by the PCB, who charged him for infighting within the team. It was part of a dramatic cull of players after Pakistan's winless tour of Australia, resulting in the fining or banning of seven players. Two months later Lancashire County Cricket Club approached Malik to play for them during Twenty20 Cup. He agreed, saying "When Lancashire approached me to come and play for them I didn't hesitate in saying yes. I love playing cricket in England and the opportunity to play with a club of Lancashire's reputation was too good to pass up". On 29 May 2010, Malik's ban was overturned and his Rs 2 million fine halved. He was subsequently named in the 2010 Asia Cup squad, and as a result, Malik pulled out of his contract with Lancashire. Pakistan did not make the final of the four-team tournament, and Malik played in two matches, amassing 47 runs. Mailk was in Pakistan's squad to play Australia and England in England in June–August 2010, but was dropped from the side. A regular in the ODI side, over the previously 12 months he had averaged around 30 with the bat in ODIs, and excluding one score over 50, his batting average hovered around 20. Mohsin Khan, Pakistan's chairman of selectors, cited Malik's poor recent form as the reason for dropping him. (Malik's) batting repertoire doesn't burst forth with strokes; there remains a distinctly utilitarian appeal to it. His drives straight are generally checked, dispossessed of flourish and in his forward defensive prods, there is an exaggerated care, just to make fully sure. It doesn't mean elegance doesn't come to him, as a couple of cover drives off Anil Kumble and Harbhajan Singh to bring Pakistan nearer its hundred showed. Midwicket slogging also comes naturally to him, usually more effective than beautiful. Malik is regarded as a flexible player. He is capable of hitting big shots but is also capable of rotating the strike with good placement. He has a strike rate of 80.4 runs per 100 balls, which compares favourably to players such as Rahul Dravid and Inzamam ul-Haq. His most brazen display of "power hitting" came in 2003 against South Africa when he scored 82 from 41 balls. As is required of most modern players, he also has displayed good defensive batting at times. 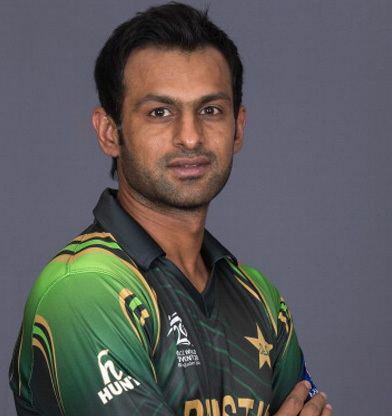 With Shoaib Malik Pakistan has become only country to have three batsman in T20I who have scored more than 1,500 runs. These are Umar Akmal, Mohammad Hafeez and Shoaib Malik. 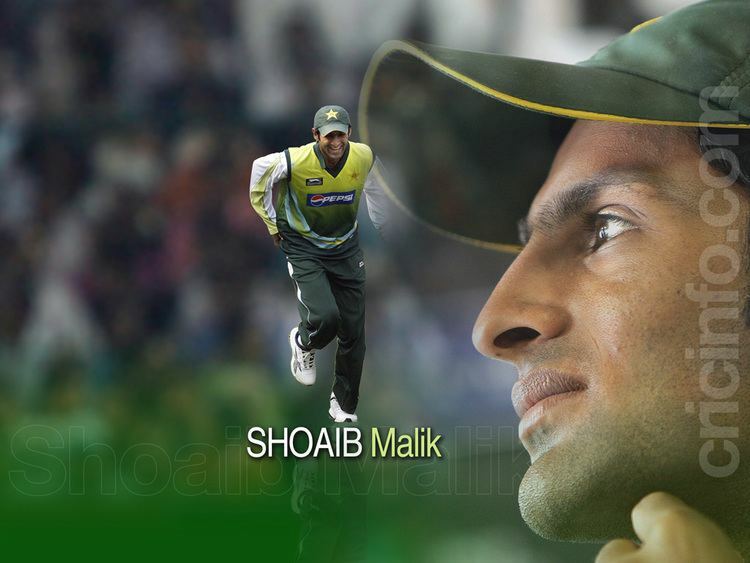 Shoaib Malik is captain of the Sialkot Stallions. He has led them to a record 8 domestic T20 titles with the most recent coming on 18 May 2015. Shoaib Malik was appointed the captain of the Karachi kings in the first PSL tournament. His team under his captaincy won only two matches in the whole tournament which also effected his own performance. In the last match, he handed over the captaincy to Ravi Bopara and appeared as a player in the match.